For artists, entrepreneurs, writers, content creators, movers, shakers, and makers of all kinds. Since 2012, Sokoloff Arts has been dedicated to telling your story and sharing your passion. In collaboration with Town Stages, TriBeCa’s premier cultural arts space and event venue, Sokoloff Arts is excited to offer YOU a home for the life cycle of your project, a platform for your next phase of development, and an ultimate pipeline to success. 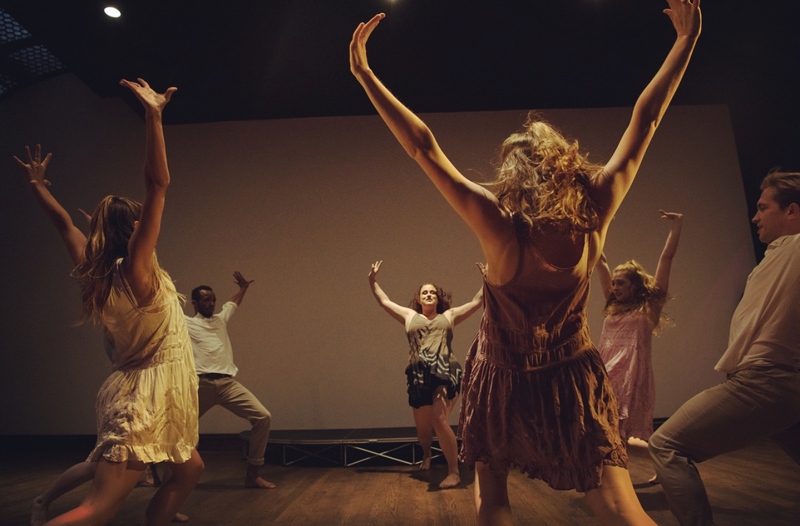 A female-driven cultural arts institution, Town Stages is a state-of-the-art, flexible performance and event space with a stunning 10,000 square foot storefront facility. With a Main Hall, a Cocktail Bar, a Gallery, and many multi-use rooms with a total capacity of 299, Town Stages offers much needed space and production resources for businesses, arts organizations, producers, and families. Creative Fellowship recipients are encouraged to immerse themselves in the bustling energy of Town by working in our shared spaces when the venue is partially booked, take advantage of underutilized space between large bookings, and enjoy generous space subsidies for all kinds of projects! The Sokoloff Arts Creative Fellowship is dedicated to providing space, perspective, and opportunity. We foster a community where all are welcome and everyone’s biases are challenged. We encourage those who feel silenced, marginalized, and otherwise “othered” to share their experiences, and remain dedicated to conversation and community. Part residency, part incubator, and part home base, a Creative Fellowship with Sokoloff Arts offers the ultimate creative freedom to grow within our walls, and beyond. Join us during the day, or when we are partially booked, for “Open Work Hours”. Host your meetings, collaborate with your team, or just enjoy a quiet place to write. This resource is FREE to all our Fellows. Basically, mi casa, su casa. Rent space by the hour for internal work (anything not open to the general public). Rehearse a new dance number, practice your pitch, or transform Town into the perfect spot for a photo or film shoot. Book ANY ROOM for $15/hour within 2 weeks of any given date during regular business hours. And yes, we have a piano. Use the PORTAL to book ANY ROOM within 48 Hours for FREE. Sudden free morning to work? Need a sudden self tape spot? Try to step through a pitch before a big meeting? Courtesy of Sokoloff Arts, receive a HUGE subsidy on space to present your work to the public. Book ANY ROOM for $50/hour - $100/hour for one night cabarets, presentations, or events*. Book a theatrical run or multi-night event for $600/night - $1200/night*. Use a whole day for $3000 - $5000*! You keep 100% of your box office and merch sales! Integrated sound/lighting/projection equipment, plus tables, chairs, stage, music stands, electric candles, and more! Learn on state of the art tech and use it in your projects. Never haul 9 music stands by yourself all the way from Brooklyn on the L train in the snow ever again. All available, all the time. Just share well with others. Breakroom! Put your lunch in the fridge. Make a cup of coffee in a branded Town Stages mug. Use our paper plates. Lockers! Leave props for your show, a change of clothes for tomorrow, or your yoga mat. Get connected with our online resources for your Fellowship Cohort. Join a cohort of like minded humans, share success stories, and combine resources and tactics for your projects! Get access to exclusive Town events, roundtables, open dress rehearsals, festivals, conversations, and screenings. Gain access to a positive sounding board. FREE consulting meetings with the Town Stages Team to further your project and goals. Your first drink at the Bar (Wine/Beer only) is always on us. Although applications for Creative Fellowships are accepted on a rolling basis, a new class of Fellows is announced for each new calendar year. To be eligible for our 2020 Creative Fellowship, please apply by October 18th, 2019. Creative Fellowship Application are reviewed by a mixed panel of Town Stages Executive Staff and industry professionals. Interviews and Site Visits will be conducted with semi-finalists before selections are made.